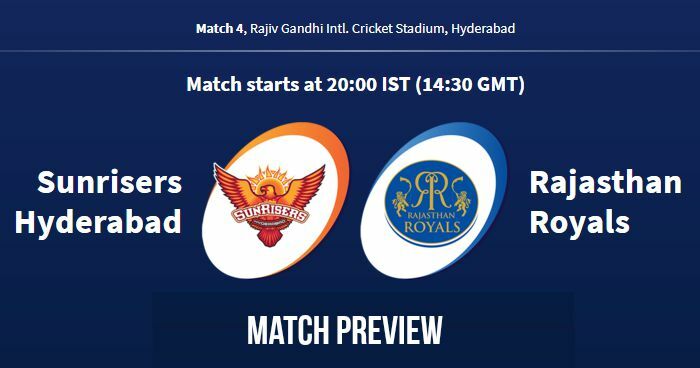 Home / IPL / IPL 11 / IPL 2018 / IPL 2018 Match Preview / Rajasthan Royals / Rajiv Gandhi International Cricket Stadium / Sunrisers Hyderabad / IPL 2018 Match 4 SRH vs RR: Preview, Prediction and Head to Head: Who Will Win? IPL 2018 Match 4 SRH vs RR: Preview, Prediction and Head to Head: Who Will Win? Sunrisers Hyderabad (SRH) and Rajasthan Royals (RR) will play the 3rd match of the 11th season of Indian Premier League (IPL 2018) at Rajiv Gandhi International Cricket Stadium, Hyderabad on 9th April 2018. As far as the weather is concerned, it has ended SRH's hopes of net practice but the forecast for the match-day looks some early showers and thunderstorms; match hours looks clear. The wicket at Rajiv Gandhi International Stadium is considered as a flat track, which tends to slow down as the game progresses. This means that the spinners would enjoy bowling here than the pacers. A high scoring game can be seen on Monday. Both the team has lost their skipper in the ball tampering scandal. Sunrisers Hyderabad suffered a massive blow when their captain and Australian batsman David Warner was ruled out of the IPL for the hand in the ball-tampering scandal. SRH is not going to miss his service as a captain but also as a match winner. Sunrisers Hyderabad will play this season under the captaincy of New Zealand skipper Kane Williamson and Bhuvneshwar Kumar has been made the vice-captain. In the absence of David Warner, Shikhar Dhawan will open with Alexa Hales who is named as Warner’s replacement. Kane Williamson, Manish Pandey and Yusuf Pathan will be the best combination in the middle order with a lot of experience. Wriddhiman Saha and Carlos Brathwaite with match finishing ability as showed in the past will be perfect in the lower middle order. Saha will also behind the wickets for SRH. Rashid Khan, Bhuvneshwar Kumar, Siddarth Kaul and Sandeep Sharma, the fab fours make the bowling attack look dangerous. After giving a new look to the team in IPL 2018 auction Rajasthan Royals suffered a massive blow when their captain and Australian skipper Steve Smith was ruled out of the IPL for the hand in the ball-tampering scandal. Steve Smith was the only player who was retained by Rajasthan Royals. Sunrisers Hyderabad will play this season under the captaincy of Indian vice-captain Ajinkya Rahane. Skipper Ajinkya Rahane and Darcy Short will open for RR with Rahul Tripathi, Sanju Samson and Jos Buttler (WK) in the middle order. Two all-rounders Ben Stokes and Stuart Binny are the best RR have for the lower middle order. Rajasthan Royals bowling unit looks a little weak but Ankit Sharma, Jaydev Unadkat, Jofra Archer and Dhawal Kulkarni will have all the responsibility. 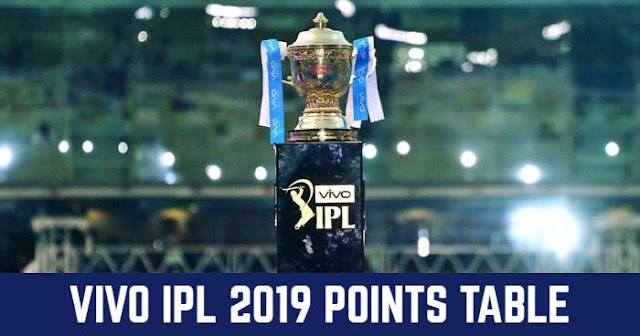 With seven games against each other in IPL Rajasthan Royals lead with 4 wins on their side and Sunrisers Hyderabad with only 3 wins. At Hyderabad, they had met only once which was won by home team Sunrisers Hyderabad by 23 Runs. Playing XI for SRH: Shikhar Dhawan, Kane Williamson (c), Manish Pandey, Deepak Hooda, Yusuf Pathan, Wriddhiman Saha (wk), Shakib Al Hasan, Rashid Khan, Bhuvneshwar Kumar, Siddarth Kaul, Billy Stanlake. Playing XI for RR: Ajinkya Rahane (c), Darcy Short, Rahul Tripathi, Sanju Samson, Jos Buttler (WK), Ben Stokes, Krishnappa Gowtham, Shreyas Gopal, Jaydev Unadkat, Ben Laughlin, Dhawal Kulkarni.